DVLA check codes – what are they and how do you check them? Since the DVLA stopped issuing the paper counterpart of the driving licence, many of our customers have been confused as to what a DVLA code is and where to find it. We have acknowledged this issue and have provided tablets in some of our branches (soon all of them will have one) to ensure that customers can access these codes seamlessly. What is a DVLA driving licence check code? If you’re hiring a vehicle, you will need to present your DVLA check code, which is the online counterpart of the photo card driving licence, and includes information such as penalty points. Via the DVLA website, you can check your DVLA code that you’ll need to present when hiring a car. You can find more information in our terms of hire. The code is used to check your driving record that is held on the DVLA database including penalty points and the vehicles you are permitted to drive. You can check your code on the government website. How to get a DVLA code? Previously, you would have visited the DVLA website to check and collect your code, then print it out and bring it in to the branch. To make things easier for you, we are on our way to supplying each of our 35 branches with a tablet on which you can check and share your DVLA code then and there. 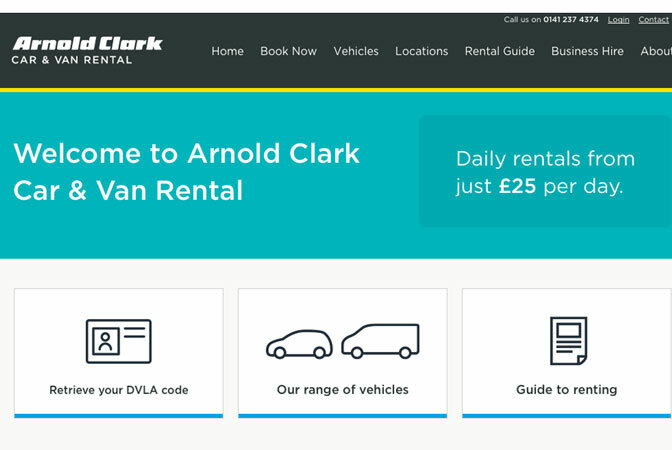 On the tablet, you can also browse the Arnold Clark Rental website for more information on our vehicle range, terms of hire and other useful details. You could also find out if you are eligible for any of our offers running at that time, as well as view our exciting newsroom articles. However, there will always be an option to check your DVLA code.